It's vacation time again, so dress up your kiddo in a cute mermaid ruffle shirt while your family is at the beach. 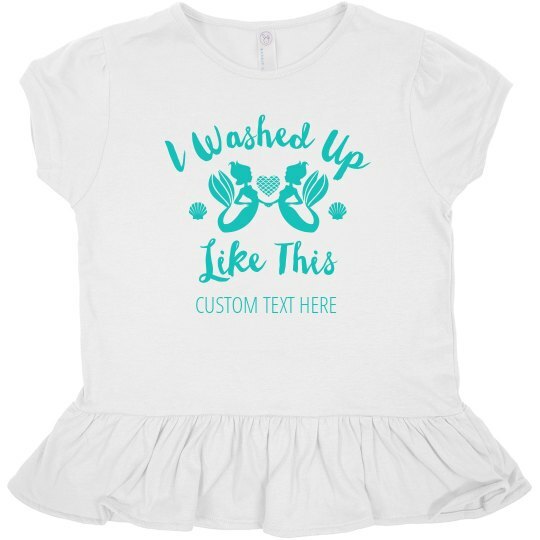 Little girls are always rocking the natural look, so this "I washed up like this" design is perfect for going on day trips. Be sure to customize the shirt by adding your own text at the bottom!